The fading roar of an ATV engine leaves silence in its wake. Birds, offended by the intrusion, refuse to sing. Grasshoppers stop their dance to consider their safety. Even the reliable mountain breeze hides. And, with the tidings of violence borne by the sounds of explosion in the engine’s combustion, I know I cannot blame them. Only the September Utah sun is unbothered. The heat, originating so far away, is oblivious. The last rain fell weeks ago and the dust antagonizes the lump forming in my throat. My co-workers at the Snyderville Basin Special Recreation District Trails Maintenance Department have dropped me off with a water bottle, work gloves, and an ancient, wood-handled rake that leaves half-inch splinters in my hand when I’m not careful. I’ll be paid $12 an hour today to rake gravel and leaves from a freshly cut trail in the Wasatch Mountains high above Park City, Utah. My co-workers won’t be back for 6 hours. This is the same job I did yesterday and the day before, and I know now, from experience, that each stroke only pulls more gravel into the space my rake passes over. I watch a boulder watching me and wonder if he recalls Sisyphus, too. I wonder if I could move that boulder and push him up the hill. I wonder if the effort might provide some distraction. For someone like me, with major depressive disorder and coming out of a bad episode, alone with my thoughts is a dangerous place to be. Doctors strenuously encourage depressed patients not to isolate. Social withdrawal and rumination are both symptoms, and causes of, depression. Isolation leads to rumination and rumination perpetuates the release of the very stress hormones that physically damage the brain and produce depression. A vicious cycle results and the cycle must be interrupted. Looking down the trail that I must rake for the next six hours and scared of my own thoughts, I spit, curse, and dig in for battle. I know the dangers of isolation and rumination, but when I’m placed in this situation at work, what am I supposed to do? I brood over the bad luck that brought me here. How did I allow myself to end up alone with nothing but menial labor to distract me for the next 6 hours? Money is my first thought. I need money for rent. I need money for anti-depressants. I need money for the psychiatrist that prescribes the anti-depressants. Why do I have to pay for somewhere to sleep? Why do I have to pay for the medications I need to survive? Why do I have to pay to exist? Capitalism, I think. This is the same problem I’ve had my entire adult life. The realization carries hopelessness. It’s always going to be like this, isn’t it? I will always struggle for money, struggle with depression, struggle to treat the depression. Is this a life I want to live? Stop, I tell myself. That kind of thinking leads to very dark places. I start raking. I distract myself with mental games I’ve invented for this purpose. I try to list all the starters on the Notre Dame football team. I write my dream setlist for my dream Phish show replete with ambient jams and perfectly executed segues. But it’s not long before the rumination starts again. A few negative thoughts lead to more. Anxiety rises as I struggle, but like one caught in a net, the more I struggle the tighter the net winds itself around me. I become frantic searching for a single mental foothold to rest on. I start raking with fury. The rake’s teeth bite deeper and deeper into the soil. I am wearing thick leather gloves, but they cannot stop the blisters forming on my hands My shirt is soaked with sweat. And, then the mountain breeze comes out of hiding. It touches my skin with a delicious coolness and stirs aspen leaves above me. Aspen leaves. With my back bent over the trail and my mind bent over itself, I had not noticed the blazing gold aspen leaves. I watch the leaves shiver in the breeze. I can see the wind’s footsteps in the tree tops. One thought solidifies on my consciousness. No, not a thought, a suggestion. A whisper when the din ceases. What do aspen voices sound like? My mind arrives once more in the present. I lose myself in hints and subtle sounds. The smallest drops of rain trailing over yellow. The vibration of a thin branch where an owl alights. The gradual yielding of soil to insistent roots. Trunks groaning under thunder and wood humming with the passage of lightning. Another suggestion. I hear in my memory my friend, the brilliant environmentalist Max Wilbert, as we lean against aspen trunks eating lunch after a long hike, explain how he’s always been fascinated by the unique sounds the unique shape of leaves make in the wind. He calls these sounds “tree songs” and tells me each tree has its own song, and each species its own musical genre. I begin to notice that my voice and the tree voices have much in common. I push and pull air out of the wind with muscles formed from the bodies of plants and animals. My muscles move with water and water flows through my mouth. The vibrations made by some of these muscles — my vocal cords — are directed by the flick and slap of the tip of my tongue and the curling of my lips. It is the same for the aspens. Wind is pushed and pulled through their trunks formed by the storage of sunlight, supported by millennia of their fallen relatives transformed into soil, and sustained by the nutrients of animals returned to the earth and carried from the deepest root to the slenderest treetop by pooled rain. The wind is directed by the flick and slap of their branches and the curling of their leaves. The awe I feel with the beauty of it all is an antidote for despair. Instead of ruminating, I am celebrating. The lie that the world seeks to destroy me is replaced with the truth that the land is conspiring to give me life. For the next six hours, I lose myself trying to describe the color of the sky, the wisdom of stones, and the fragrance of pines. The aspens have given me a great gift. They have reminded me how to step out of my own small mind into the communities surrounding me and giving me life. They have taught me that there is no such thing as isolation in the natural world. They have given me a weapon against the despair: listening. While I am busy listening, I am not ruminating. The less I ruminate the healthier I am. Aspens give me medicine as effective as the anti-depressants my psychiatrist prescribes me. Aspens teach me an invaluable skill for resisting rumination as effective as the techniques my therapist teaches me. In doing so, aspens become allies in my personal struggle to overcome depression. As I get better, my mind is less dominated by rumination, and I am better able to contemplate problems beyond myself. I hate depression. Understanding the horrors of the disease intimately, I know what a tragedy it is that the depression epidemic is getting worse. In fact, the rate of depression is 10 times higher today than two generations ago (http://psycnet.apa.org/books/10090/006). The failure to stop depression is a failure to dig deeply enough to the disease’s root causes. Part of this failure comes from Western doctors tendency to paint an incomplete picture when they describe the “cause” of a health problem. Consider what happens when someone is shot in the chest and dies. A doctor might say the patient suffered heart failure from trauma caused by a bullet and she would not be wrong. 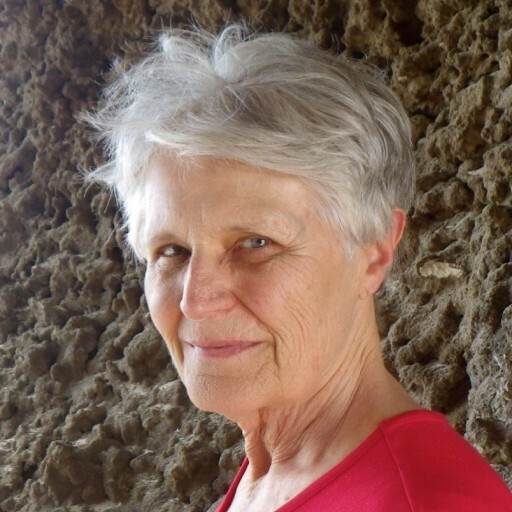 She might even go so far as to describe the way the bullet struck the aorta, causing the aorta to collapse, and permanently interrupting the flow of oxygen-rich blood from the heart to the rest of the body. And, again, she would not be wrong. But, of course, she would not be telling the whole story. In this example, the doctor has not explained if the bullet was shot from a gun wielded by an angry family member, was an errant shot from a distant hunter, or was the result of the deceased placing the gun to his own chest and pulling the trigger. Each of these cases involve “causes” that require an explanation that goes much deeper than a simple accounting of the biological failures resulting in death. Most explanations for the causes of depression begin and end with the brain’s runaway stress response. When we’re stressed, our bodies release hormones like adrenaline and cortisol which prepare us to fight or flee. When we’re stressed for long periods of time, these hormones attack the amygdala and the frontal cortex which control our mood, goal-oriented behavior, and our memory. Depression results. The “solution” to depression, if the brain’s runaway stress response is the only cause being considered, is strictly chemical, then. The fight against depression is reduced to a case-by-case, reactive struggle where doctors are focused on alleviating the effect stress hormones have on the brain. As you might predict, chemicals, in the form of anti-depressant medication employed to counteract chemicals in the form of stress hormones, become the “solution” to depression. While it is not technically wrong that the brain’s runaway stress response “causes” depression, this explanation leaves out most of the story. Perhaps the most necessary part of the story involves what causes so many people to experience the brain’s runaway stress response for so long it causes depression. How do we explain, on a cultural scale, why so many people are stressed so much of the time? The answer is civilization. Clinical depression is almost completely nonexistent in modern-day hunter-gatherer societies. One of the most famous examples demonstrating the lack of depression in hunter-gatherer societies is a study conducted by anthropologist Edward Shieffelin who lived among the Kaluli people of the New Guinea highlands for nearly a decade. He carefully interviewed over two thousand men, women, and children and found only one person who came close to meeting Western diagnostic criteria for depression. If living as hunter-gatherers is so good for us, why did so many of us become civilized? And, why do so many of us stay civilized? It’s a bloody history. The first civilized humans, with the help of farming and domesticating livestock, became stationary at the same time their population skyrocketed. They inevitably stripped their land base of the necessities of life and were confronted with a choice. 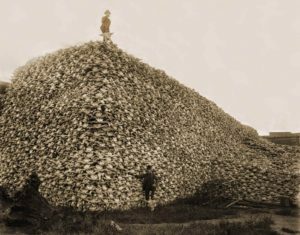 Either return to a sustainable way of living (albeit a more impoverished way of life than if they had simply lived sustainably the whole time) or turn to other land bases, where hunter-gatherers lived, to dominate. They made the wrong choice. Most hunter-gatherer communities resist civilization when it shows up at their door because most hunter-gatherers understand the folly of civilization. In order to overcome resistance, civilization often resorts to brute force. The history of colonization is the history of this force. Civilization gains a material advantage over the non-civilized by making a deal with the devil. In exchange for gaining a greater ability to perform violence than their hunter-gatherer neighbors, the civilized exploit the land. In exploiting the land, the civilized gain a short term benefit at the expense of long-term sustainability. Not only are many hunter-gatherers killed, but their lands are stolen. Hunter-gatherers can only remain hunter-gatherers on healthy land. The civilized clearcut forests and divert rivers for their crops. They consume evermore topsoil. They build fences and walls and enforce boundaries with superior weapons. They reproduce at astonishing rates and require more and more resources. With their game killed off or scattered in search of habitat, with foraging plants cleared for civilized crops, with their water sources dwindling or poisoned, hunter-gatherers often have no choice but to participate in civilization. For his part, Ilardi recognizes that “the hunter-gatherer lifestyle is profoundly anti-depressant” and has built a therapy program based on regular exercise, a diet rich in omega-3 fatty acids, regular sleep patterns revolving around natural light, and plenty of time spent with loved ones. In effect, Ilardi asks his patients to be hunter-gatherers. Ilardi has done amazing work and his program helps many depressed patients. Even so, his program does not solve the depression epidemic for anyone other than those patients privileged enough to afford the time, job schedule, and diet he prescribes. His is not a large-scale solution. The only true solution to the depression epidemic is the dismantling of civilization, itself. I turn to the aspens for one more lesson. The aspens taught me how to overcome rumination by leaving the loneliness of my own mind to listen. And, listening, I learned that humans and aspens are more deeply connected than most humans understand. 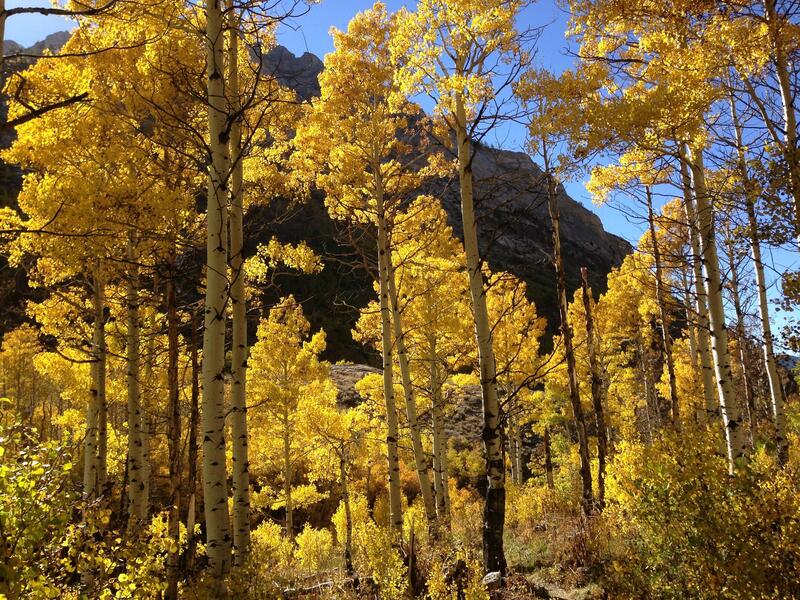 In many places, aspens and humans are members of the same natural communities. The forces threatening our natural communities bind the fates of both our species – aspen and human – together. 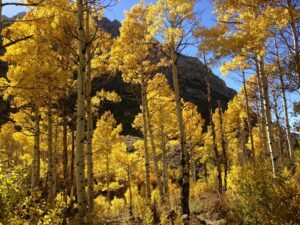 For example, climate change threatens aspens with extinction by the 2050s. Meanwhile, climate change causes scientists to question humanity’s ability to survive the end of the century. To save aspens and to save humanity we must stop climate change. So, what causes climate change? Fossil fuel combustion is commonly cited as the leading cause of climate change. But, just like we saw with discussions of the causes of depression, blaming fossil fuel combustion is only part of the story. The rest of the story involves asking who is burning fossil fuels. And, it is civilized humans burning fossil fuels. They are the cause of climate change. The violent force the civilized must use to access the resources they require is often a crude, messy means of manipulation. It is much easier to police a population if you can get them to buy into their own oppression. Along with brute force, civilization developed systems and institutions to psychologically manipulate humans into accepting civilization as the one, true way of life and the inevitable result of human depravity. Civilization is a jealous god and works everywhere to consolidate its own power. Civilization developed human supremacy, monotheisms, the patriarchy, abstract moral philosophies, and racism (as just a few examples) to prop it up in the face of its insecurities. These manipulations have held sway for so long that very few among the civilized ever question them. In fact, despite civilization’s obvious violence, most people will strongly object to my analysis. Yes, civilization brings us hot showers and cellphones. But, are the civilized willing to look future generations of depressed people, people with type 2 diabetes, and people with epithelial cell cancers in the eye while the civilized tell these future generations that ensuring the civilized’s access to hot showers trumps future generations’ right to be depression-free, free of diabetes, and free of cancer? Does ensuring the civilized’s access to cellphones trump future generations right to live? Yes, I know about modern medicine, too. Do not forget that many modern medicines were only developed as a response to problems caused by civilization in the first place. As someone who takes no less than 3 different anti-depressant medications and sees the benefit daily, I know the wonders of modern medicine. There are people who rely on civilization for the fossil fuels that make the plastics in their replacement heart valves. There are people who rely on civilization for the metals in the radiation machines that treat cancer. I understand that. But, some humans’ reliance on plastics and metals to live, does not trump future generations of humans’ and countless species’ right to exist. It should come as no surprise that the forces destroying the human mind are destroying the planet. This is not a testament to the greatness of the human mind. It is a testament to its smallness. Humans are best understood as members of natural communities just like bees, just like bears, just like rivers, just like aspens. And, just like aspens, the destruction of the communities we live in, destroys humans. On the personal level, natural communities teach us we are not alone. On the cultural level, stepping out of civilization’s self-inflicted isolation to reclaim our humble place as members of these natural communities is how we’ll stop the destruction. And, become healthier while we’re at it. Say it Brother! Yes! That nails it! Thank you! Unfortunately, as the author points out in several ways, so-called civilization is now so entrenched and ubiquitous that stepping out of it is, for all practical purposes, impossible, and there is nowhere left to go. The central thesis is unassailable, but how the cure may ever be realistically achieved at this late date remains unknown. Perhaps there will be enough left to work with after the current paradigm exhausts itself and the lesson is finally learned, but even that is highly problematic. Worthwhile, strenuous outdoor labor has always been a balm personally and it keeps the animal body healthy, but much else is still missing from the original picture. Meanwhile, the collective spastic dance goes on toward some as yet unrevealed eschaton, and antidepressants for the general population continue to flow like a mighty river. Along with mastery of agriculture and animal husbandry, mastery of human females was initiated by males. Several thousand years of male rule, complete with narrow vision and a short male timeline has left our species without the balance required to survive. Lights out, people. Thank you very much for sharing my article. And thank you both for the thoughtful comments. Robert, I wholeheartedly agree that patriarchy is one of the interlocking systems of power that produces the catastrophe we find ourselves in. And, men need to dismantle patriarchy. In regards to izzy’s comment: “The central thesis is unassailable, but how the cure may ever be realistically achieved at this late date remains unknown.” Thanks for bringing this up. In my view, to dismantle civilization we need to shut down the physical infrastructure making civilization possible. No doubt it will be very difficult, but I just don’t see any path except for cascading systems failure that leaves enough of the planet alive to heal.